Two days ago I wrote about how James Flynn was on thin ice, and that Andrew Puzder’s confirmation as Labor secretary were in jeopardy. Later that day Flynn was forced to resign, and today Puzder has withdrawn his nomination. Both the choices of Flynn and Puzder were examples of poor management from Donald Trump and a failure to perform traditional vetting. The Puzder withdrawal is a fairly straightforward story, but Flynn’s resignation has only led to many additional questions which do require further investigation. 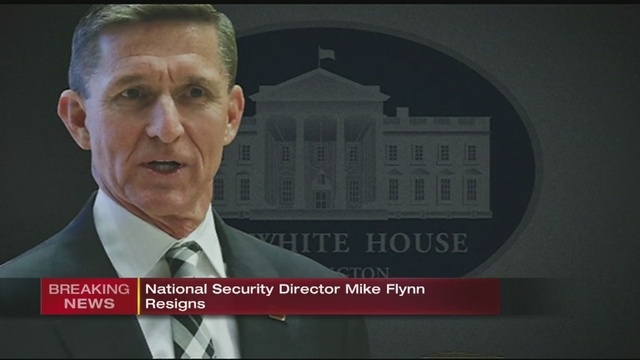 Objective people recognize that there was something improper with Flynn lying to both Vice President Pence and the American people, and with the attempted cover-up by the Trump administration. We have no way to know the degree to which Flynn was acting on his own or under the direction of Donald Trump. We do know that Trump waited three weeks after being informed of Flynn’s calls (regardless of what he might have known previously) to take action. We do not know the full story regarding contacts between the Trump campaign and Russian intelligence. We are seeing considerable partisan hypocrisy here, such as in Rand Paul saying it would not make sense to investigate other Republicans. The Republicans who refuse to acknowledge the importance of the Flynn scandal, or question how much leads directly to Trump, sound just like the Democrats who refused to acknowledge the importance of Clinton’s scandals. Partisan politics creates such blindness. This deserves to be investigated regardless of your overall opinion of Trump, and regardless of where you stood in the race between Clinton and Trump. Of course, while we have strong reasons for further investigations, this does not mean we should buy into every claim made about Trump without evidence. There is no evidence that Trump knew anything until three weeks ago. There is no evidence tying Trump to any attempts to influence the election the results. Claims about Trump’s business dealings with Russians appear to be exaggerated but we should have more information including, but not limited to, his tax returns for further evaluation. We need to get the facts before coming to conclusions. There has been a lot of anti-Russia hysteria being spread by Clinton and her neocon allies. The Clinton camp has strong reasons of their own to distort the facts, stemming from both their history of hostility towards Russia and their use of Russia as an excuse for their loss. Clinton lost because she was a terrible candidate and ran a terrible campaign, regardless of what Russia did. We need to find out exactly what Russia did without jumping to conclusions based upon hysteria being created for political reasons. He is right. This all needs to be settled by finding the facts–not by ideology or partisanship. Posted in Donald Trump, Hillary Clinton, Mike Pence, Rand Paul, Richard Nixon, Scandals. Tags: Dan Rather, Donald Trump, Hillary Clinton, Michael Flynn, Mike Pence, Rand Paul, Richard Nixon, Russia, Scandals, Vladimir Putin, Watergate. RSS feed for comments on this post.. TrackBack URL.